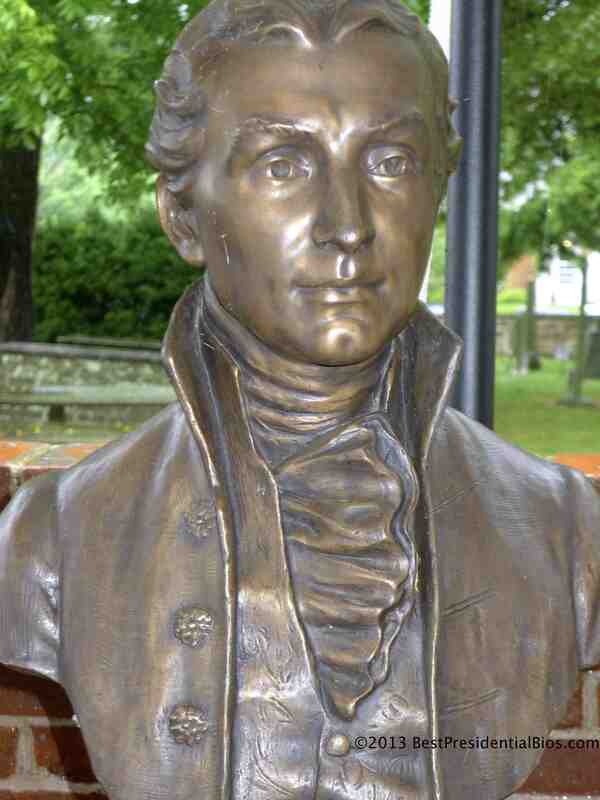 James Monroe was our fifth president, and the fourth from Virginia. I knew virtually nothing of him before I began this journey some six months ago, but historians have not overlooked him as he is rated in the top third or so of all presidents. Monroe was born in Westmoreland County, only a half-dozen miles as the crow flies from the site of George Washington’s birth. After dropping out of college, Monroe spent several years in the Revolutionary War and later studied law under Thomas Jefferson. Monroe and his wife settled in north-central Virginia – first in Fredericksburg where he practiced law and later in Charlottesville, where he eventually moved next to Jefferson. 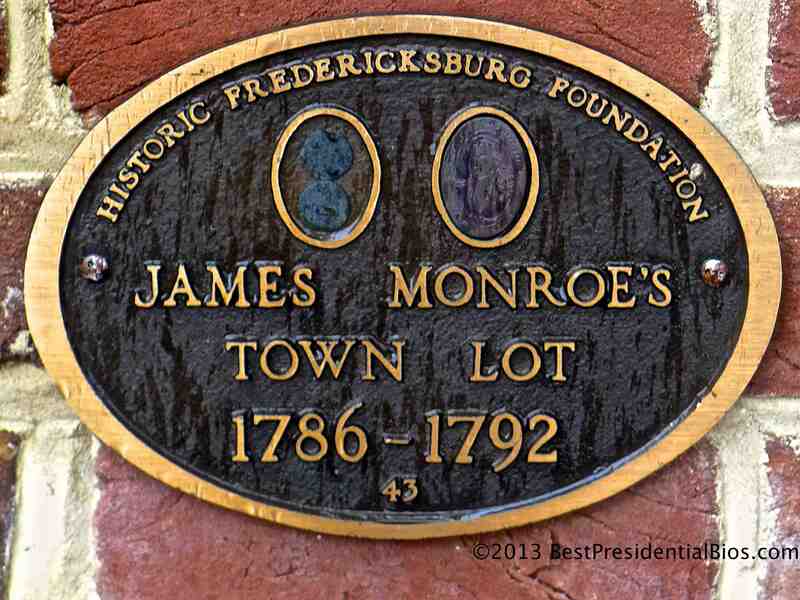 Ironically, I was not aware of Monroe’s connection to Fredericksburg until I was driving along one of its historic streets early this year in search of Mary Washington’s house (mother of the first president, of course). As I dashed into the middle of the then-empty street to snap a picture of her home, a UPS driver walking back to his truck asked me whether my interest in local history was limited to this one house, or was more expansive. After explaining my situation to him, he suggested I drive over to the James Monroe Museum and Memorial Library a couple blocks away. He described himself as a huge James Monroe fan (this is intriguing – and strange – on so many levels) and wanted to ensure I didn’t miss out on a great local historic site. 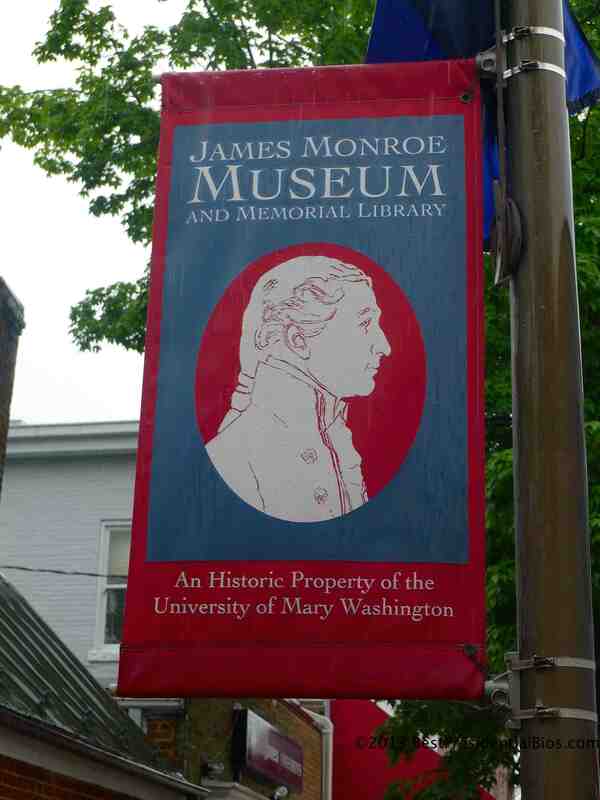 So what was I to do but wander over…where I discovered that he museum is located on the site of James Monroe’s 1786 town lot. When the buildings on the lot were slated for demolition in 1927 (a gas station was expected to spring up in their place) one of Monroe’s more enthusiastic descendants instead bought the site and opened the museum which is now in its eighty-sixth year. Monroe’s plan for himself was apparently larger than practicing law in Fredericksburg, so it wasn’t long before he bought property near Charlottesville and began his career as diplomat and politician. 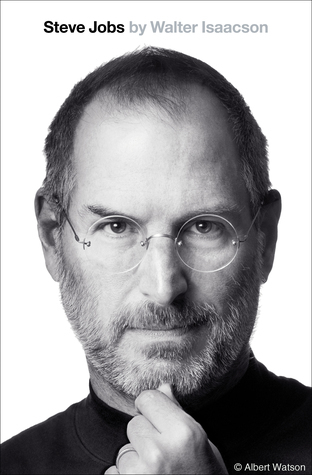 Although he eventually settled at Ash Lawn-Highland, at one time he also owned the land that now sits under much of the University of Virginia. Monroe may be the favorite president of at least one local UPS driver, but he is not blessed with many popular biographies. My tour through Monroe’s life will begin with Harry Ammon’s “James Monroe: The Quest for National Identity.” Published in 1971, this seems to be a historian’s “old faithful” but appears to be seldom read anymore. Next, and last, will be Harlow Unger’s “The Last Founding Father: James Monroe and a Nation’s Call to Greatness.” Based on the number of reviews I was able to find, anyone interested in Monroe seems to read this book, but on average its ratings are not meaningfully better than those of Ammon’s older, and more comprehensive, biography. Thanks. Having just completed a close reading of Ketcham’s incredibly good “James Madison,” your review confirms my unreadiness for Unger’s book on James Munroe [along with first having read his prologue and seeing that first salvo you quoted, that Adams, Jefferson, and Madison “were mere caretaker presidents.” (!!!). So I’ll see if I can find or order a Harry Ammon’s Munroe. Since both are relatively short, I expect to finish them in a short time.